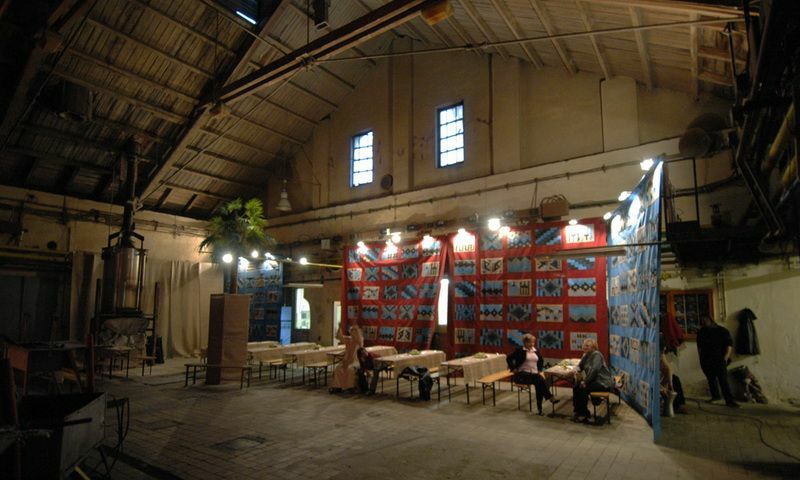 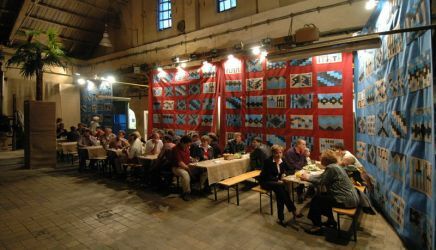 All the events that have, in addition to the gastronomic offer, a further dimension (they are set in a certain period, or in some exotic environment) fall under period catering. 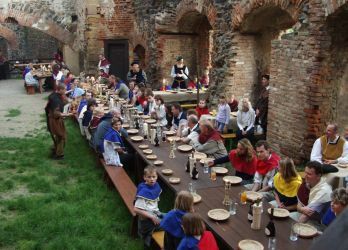 The most interesting of these that IGC has implemented undoubtedly include the Gothic royal banquet at the moated Švihov Castle in West Bohemia. 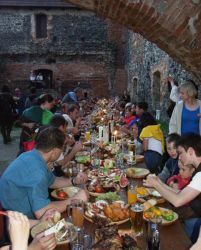 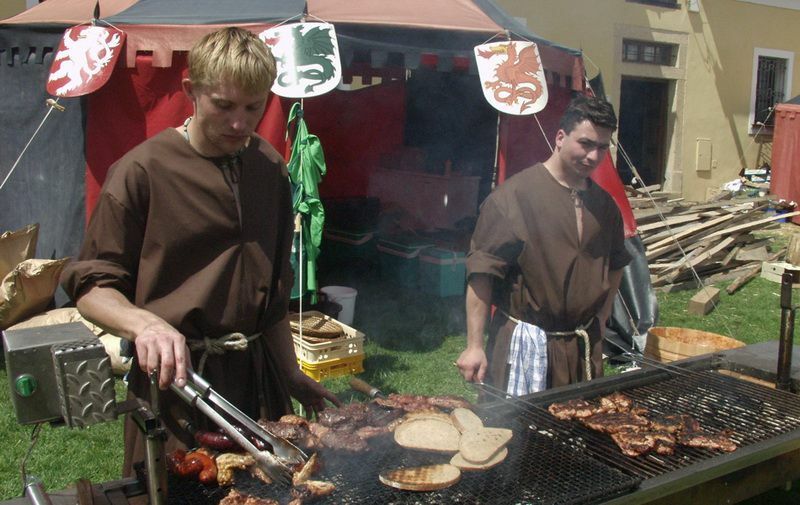 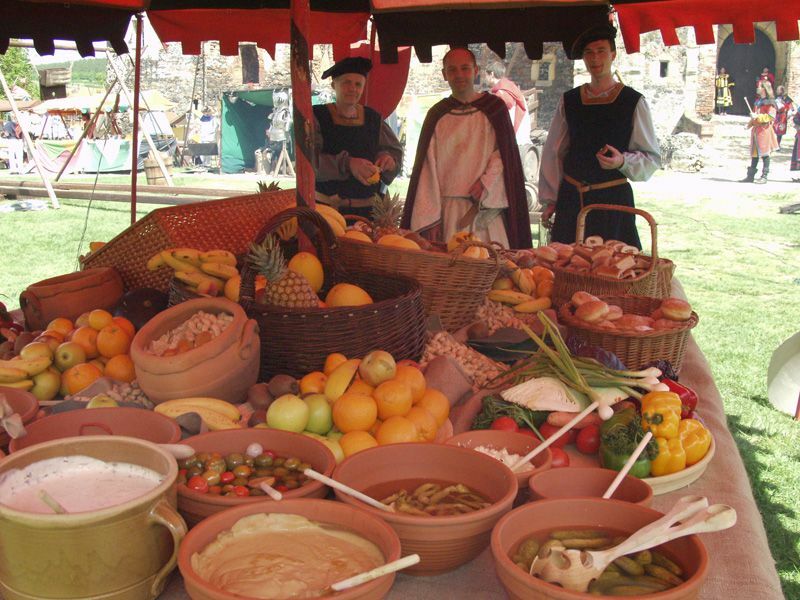 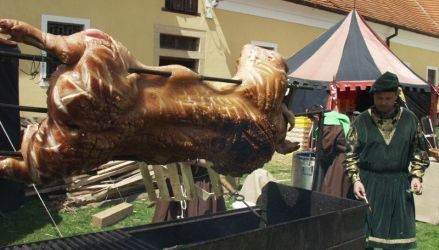 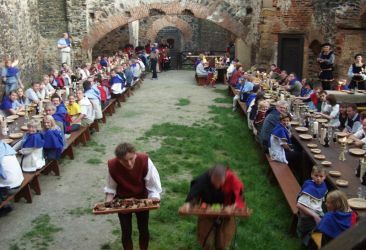 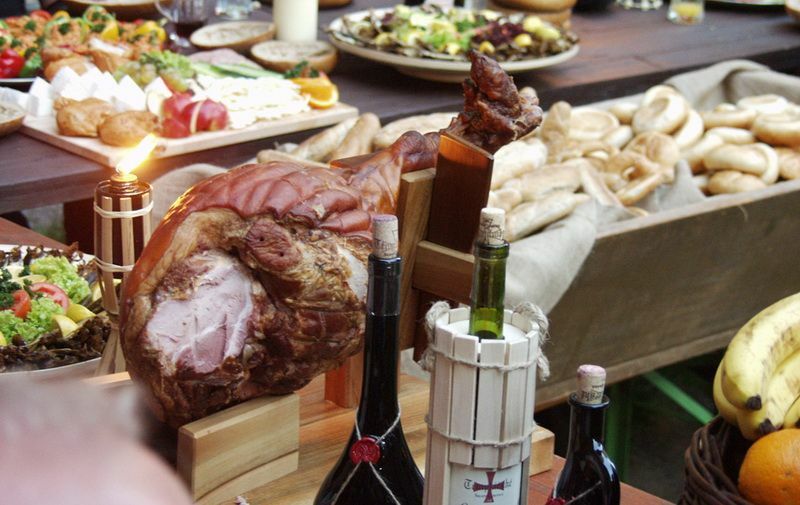 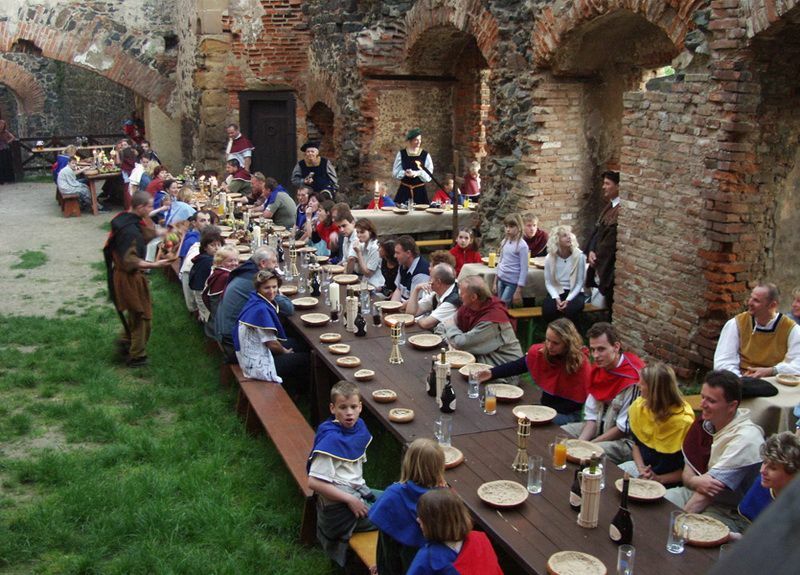 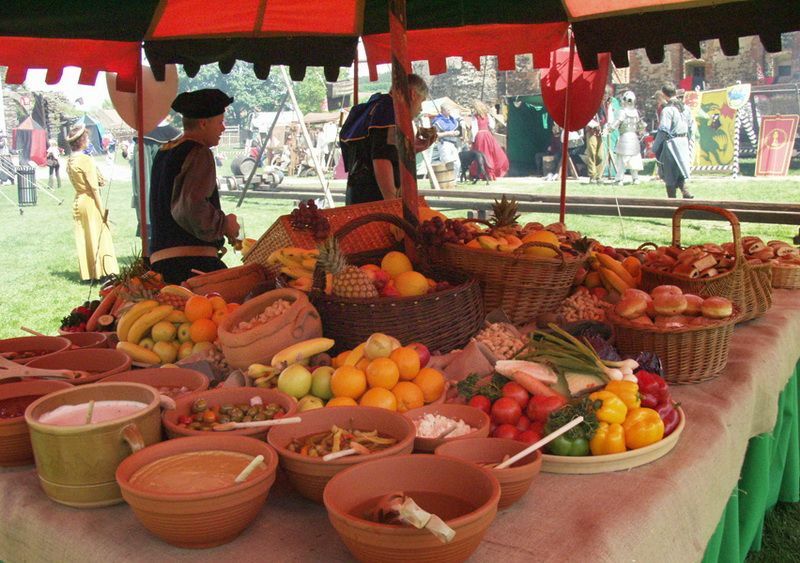 Right before the eyes of the specially-invited guests in period costumes the banquet was prepared all day long in the settlement below the castle by the servants and the best Benedictine cooks for the evening banquet, with pages bearing the meals on wooden boards. 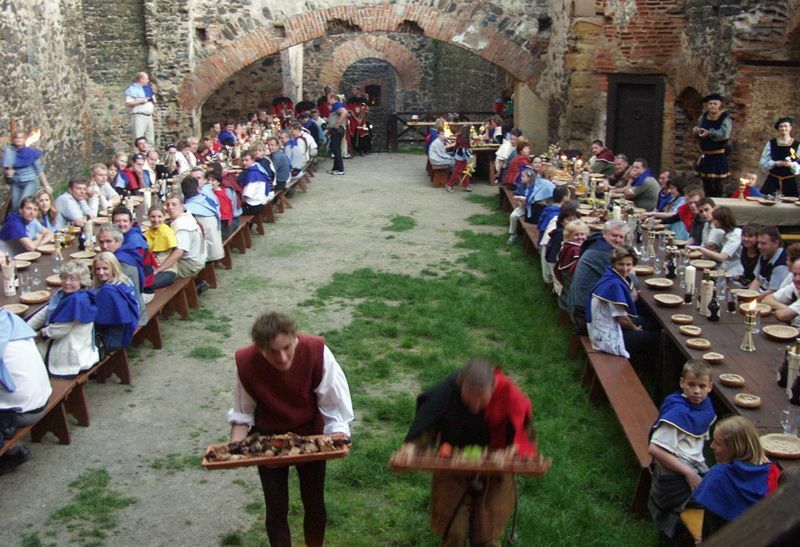 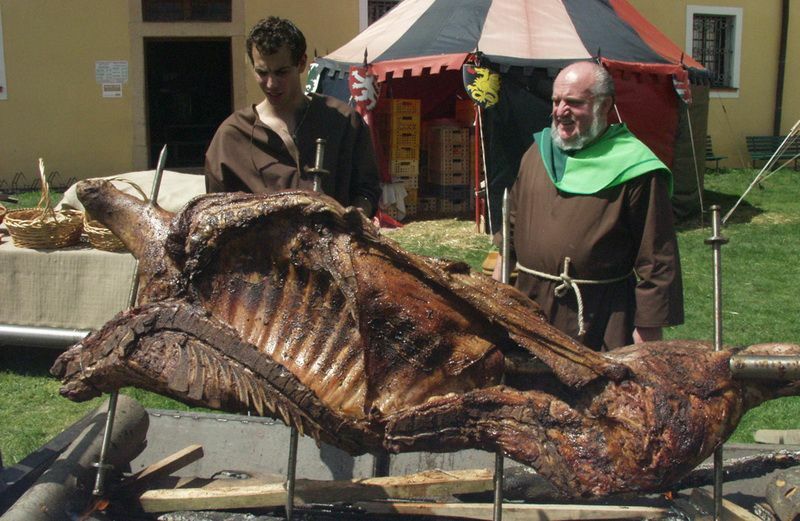 The character of the Gothic period was carefully maintained throughout the entire banquet and in the environment, preparation of meals and recipes, selection of ingredients, serving, tableware and consumption. 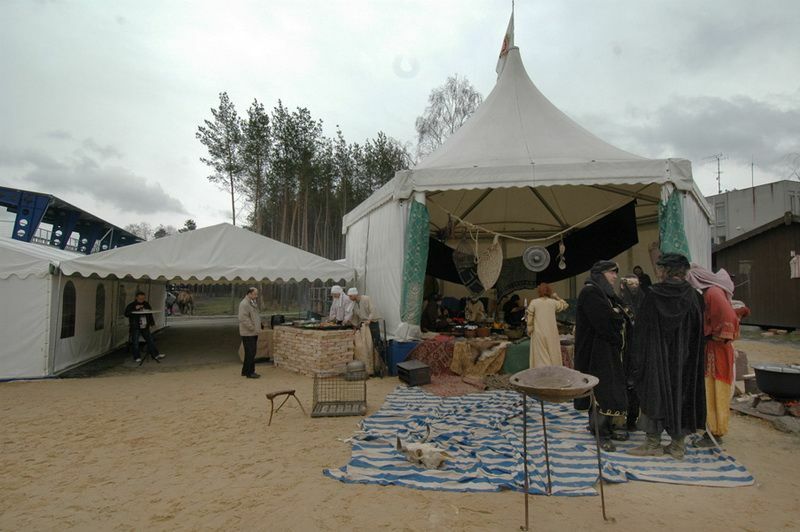 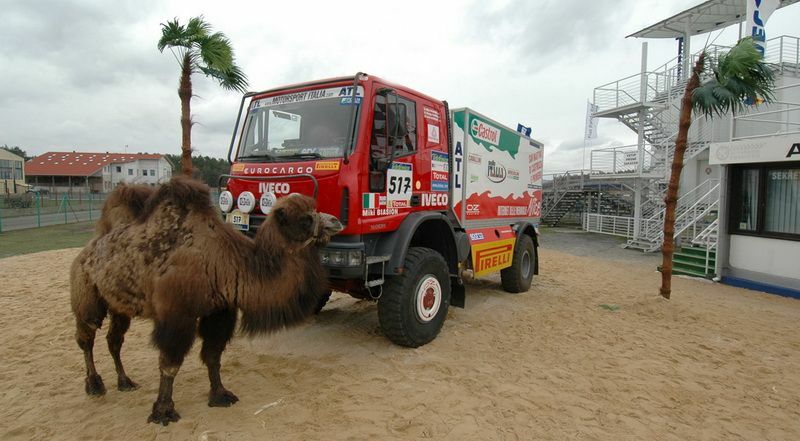 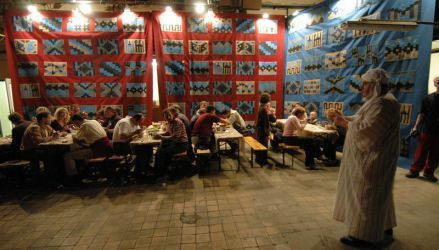 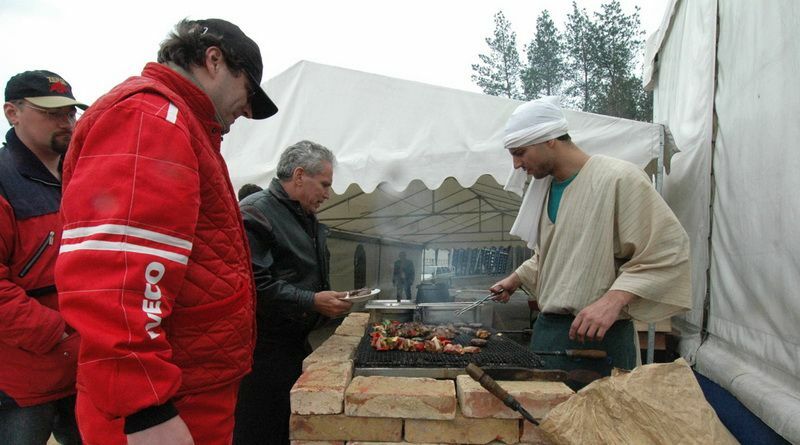 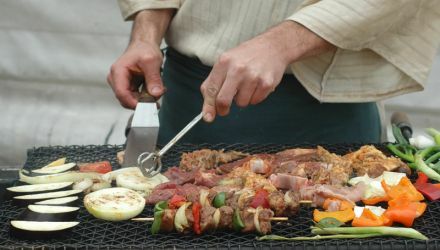 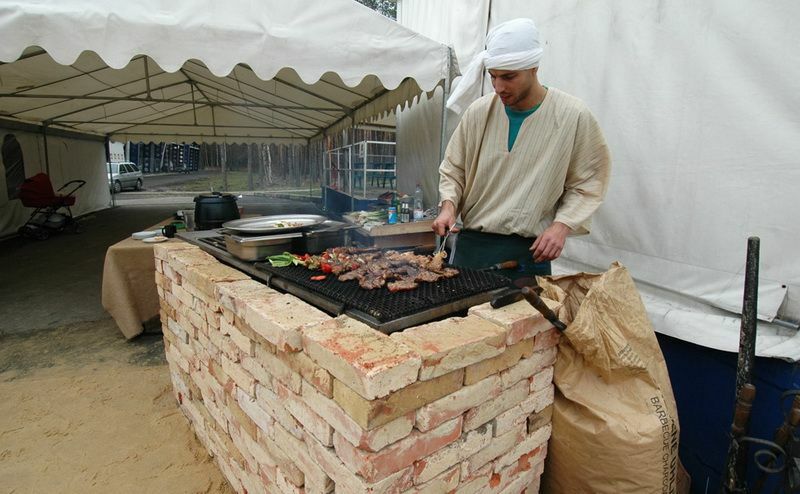 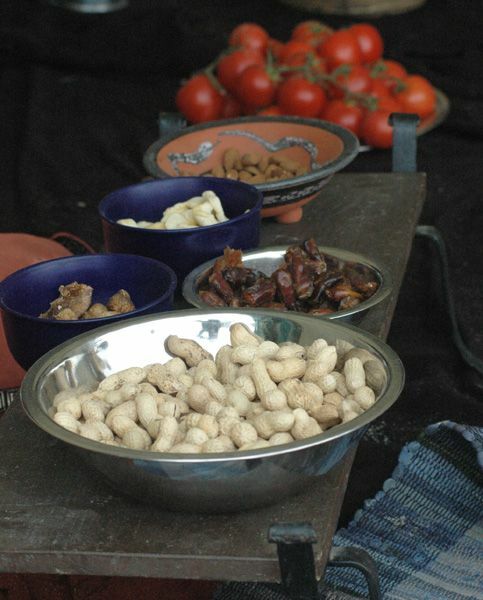 Another similarly demanding event was the creation of the Paris – Dakar race environment at the Sosnová autodrome for the presentation of the company Iveco including catering in the form of a Bedouin kitchen. 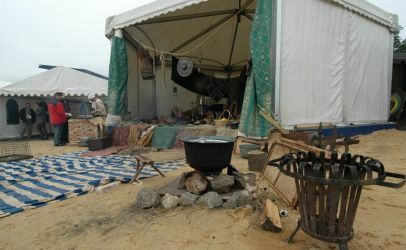 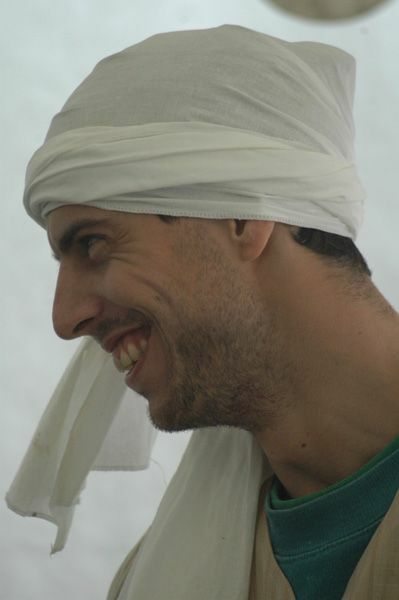 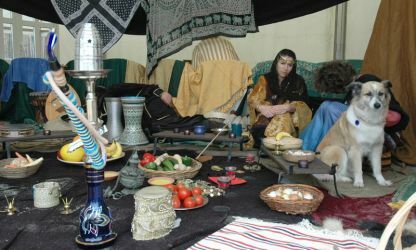 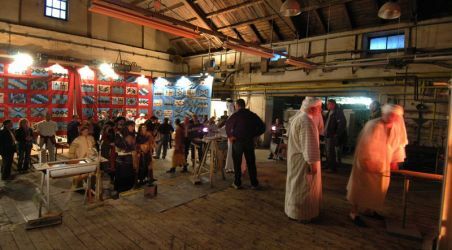 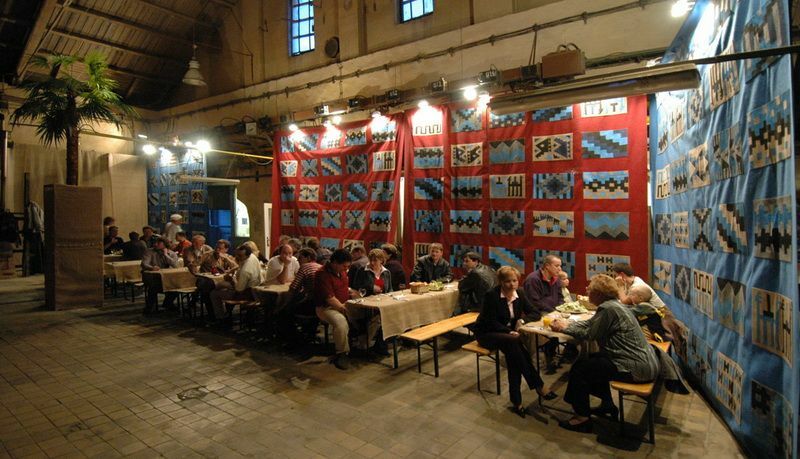 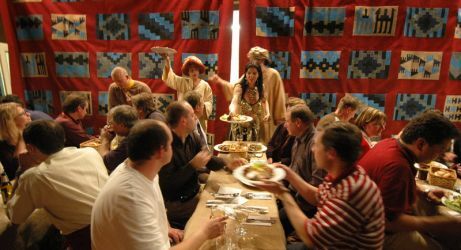 This took place in the company camp over the course of a few days and for a number of gala dinners in Arab style which took place in the ancient glassworks once again made up in the style of Bedouin nomads. 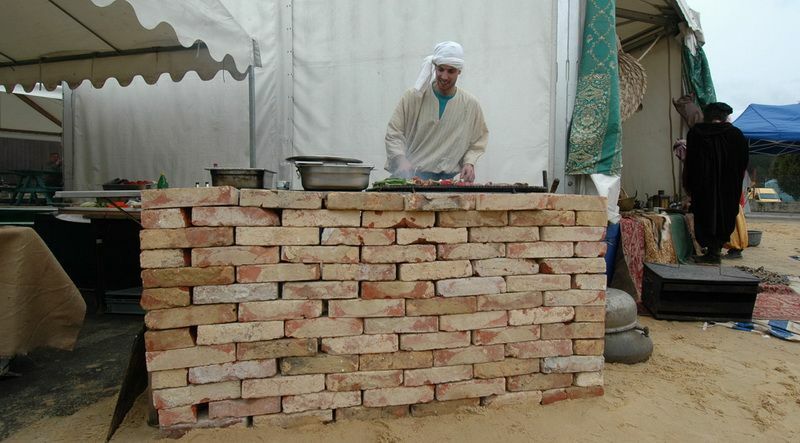 The original stylised Bedouin kitchen was a matter of course.